Is it an original or repo? Short answer, if it's a Ford size one, maybe maybe not. Long answer, it has been done. google "mtfca; motometer". I don't think I've ever heard a kind word said about motometers with regard to their reliability or accuracy. I do think the natural, vibration-charged environment of what amounts to a weighted lever measuring few inches long extending up from the radiator unavoidably causes bubbles to form in the little red thermometer tube (and the longer the lever, the greater the amplitude of the vibration). -If your motometer is sitting upon a set of brass wings, the weighted lever is that much longer, with a corresponding increase of oscillation. 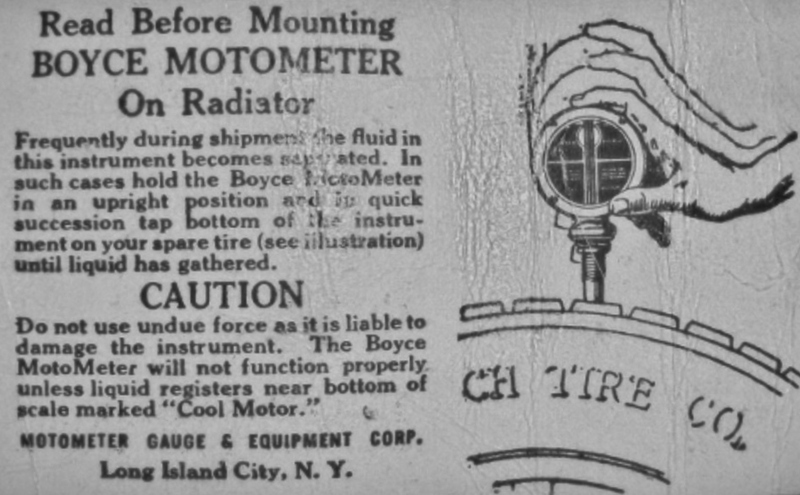 IMHO, if you need a motometer to keep an eye on whether your coolant is too hot, you need to repair the radiator (and besides, the temperature of the floorboards against your feet will tell you quite clearly when you're dealing with a deleteriously thermogenic exigency). 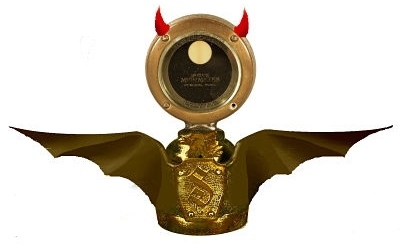 -I think of my motometer (and brass wings) as an intriguing hood-ornament, the main function of which is to vibrate to the point of loosening the rivets which attach the filler-neck to my brass radiator and thus produce a rebarbative, tarnish-inducing drip of green anti-freeze. 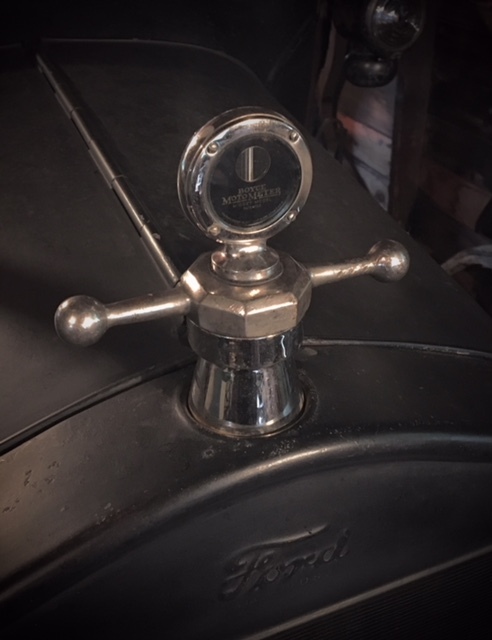 Mechanically speaking, you're better off replacing the motometer with a standard Ford radiator cap (and as monotonously turns out to be the case, Henry knew best) unless, of course, the beauty of the brass sculpture in question nourishes your soul�as it does mine�to the point of making the vexation worth it. I run them on all my cars with no trouble and they have always been pretty accurate as far as I can see. Hardest part is shimming them so they line up right. Some of mine are original and others are repros but they all work about the same. Bill, what is the problem with it? If the thermometer is intact, and you can see the red liquid separated in the tube, then you can attempt to get it back working. Have done the above and got them to test just fine in a pot of hot water on the stove. 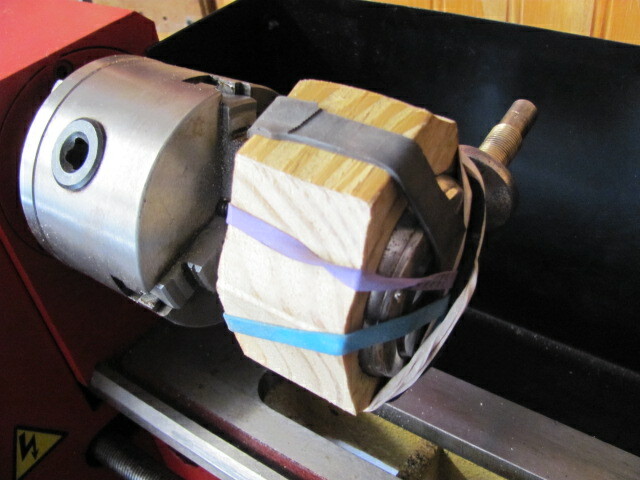 Other times have mounted and spun in a lathe and got the fluid into the bottom and they work too. 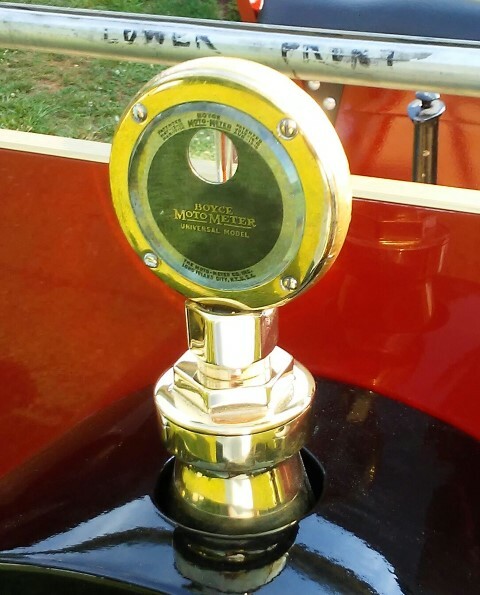 I have had Moto-Meters on most of the antique cars I have had over the years. I like them, I like the look, and I like the reliable indication of the motor's operating temperature. I have had a couple times where for some reason I lost water and the temperature alerted me before any harm could be done. I also have had a radiator neck break loose because of the weight, vibration, and leverage (as previously said). It was to me a minor problem and soon repaired. A lot of times, Moto-Meters can be repaired. 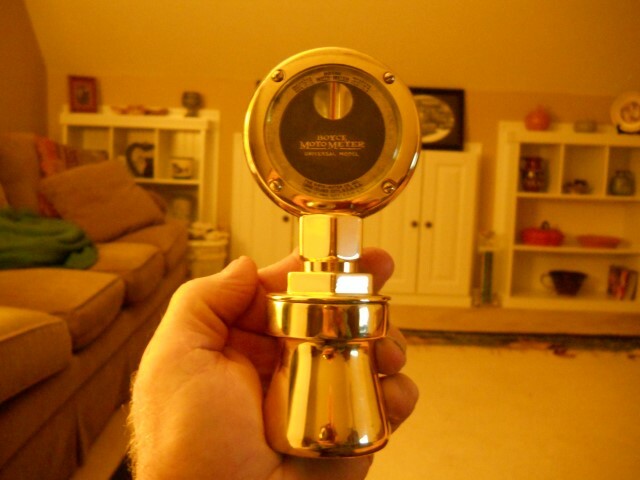 Replacement thermometers are sometimes available for some size Moto-Meters. And J B Weld can repair many other breaks. They were die-cast and generally not weldable. There are a bunch of ways to try to get the red back down where it belongs. Dan T gives a couple of the best. 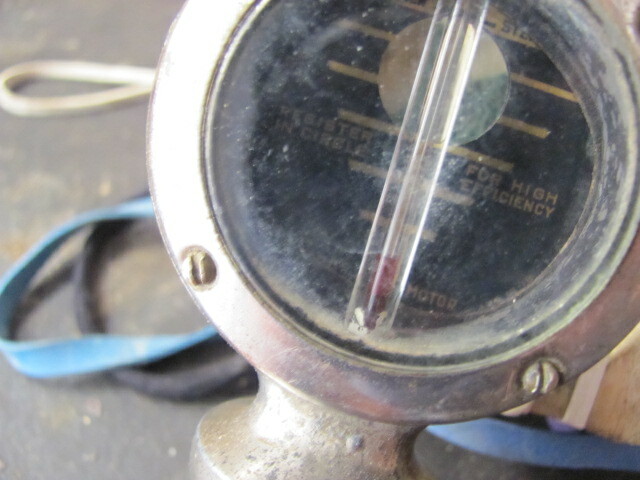 I have only once found a Moto-Meter with the red out of place that I could not get it back down. Never did figure out a reason why. My problem is getting the red up in the sight glass been that way since I bought the 26 touring last year. I tried holding over a cup of boiling water still no red.Is it repairable or just use as a hood ornament. where is a good place to get one that works. I did mine up for the brass look. I left the red up in it for looks....non-functional. Try sticking the motometer in your freezer for a while, in a vertical position. If you can get all the red liquid down into the bulb at the bottom it may start to work again. 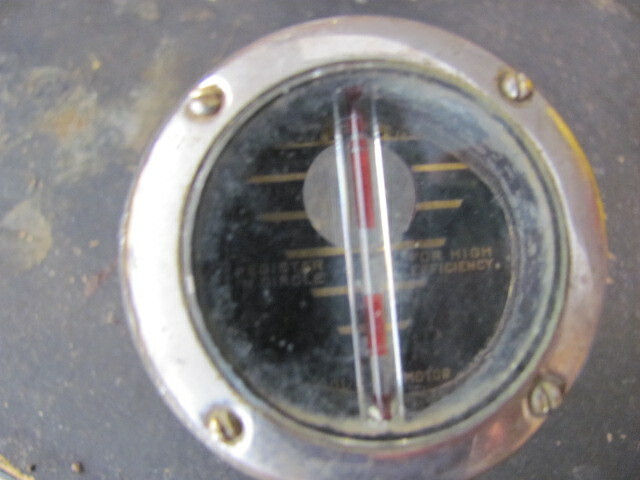 Bought a motometer over 40 years ago and had it on a shelf most of the time as it had seperated fluid in it and was of no value, I thought. A couple years ago someone put the article in the forum about thumping the meter on the spare tire. I thumped it and it has been working ever since. Thank you to who ever it was, for the article. Even though a motometer may not be that accurate, It is useful as a reference to how hot the engine is getting when hill climbing or on hot days. Moreover, I think they just look cool on cars of this era and a conversation starter as well. I was told by a collector that the new ones are not up to the standards of a good vintage example. Not sure they are "reliable" as to an accurate temperature. But I have an original on my car and at least you have a relative idea of changes in the temperature of the radiator. 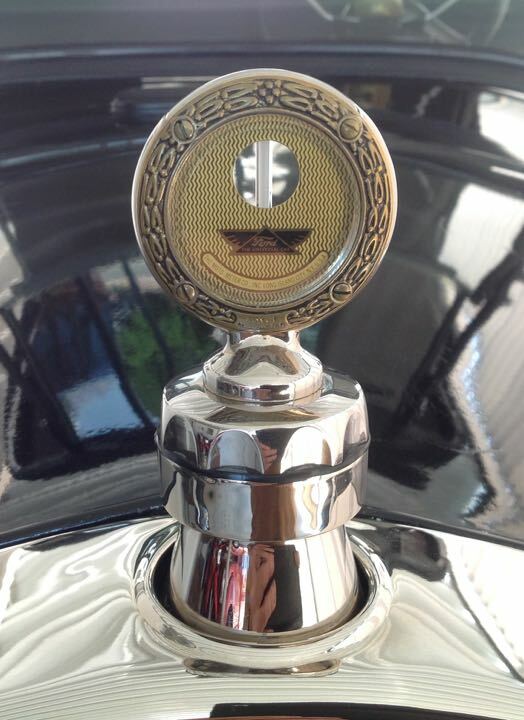 By looking at a Motometer, how can you tell an original from a repro? Are they plainly marked? I understand that some are too heavy for the neck of a model T radiator and can cause cracks, is that correct? I don�t think any modern reproductions are nickel plated. And of course you can see the patina of age. I found that if it is a vintage large size motometer the mounting nut is unique. I believe a member on here made a few a while back. The main body is a zinc type alloy, the glass retainer rings are brass and the screws are brass. No chrome plating anywhere. The original small motometer and cap on my �23.